Mary Theresa (Schoemer) Gauvin graduated from St. Mary’s Hospital Nursing School in 1947, located downtown Detroit, Michigan. The Sisters of Charity, the religious order of nuns who ran the nursing school, would not allow married nursing students so she became engaged to her life-long partner the week of her graduation from the program. She worked as the midnight charge nurse at Wyandotte General Hospital (Wyandotte, MI) and Riverside Osteopathic Hospital (Trenton, MI) until her 6th child was born in 1958. She took 16 year hiatus from hospital nursing to raise her children. However, during this time she “specialed” for many family and friends through their journey to the next life. Following the death of her husband in 1975, Mary returned to fulltime nursing in industrial medicine at Chrysler Trenton Engine Plant (Trenton, MI), the Ford Motor Company Assembly Plant (Woodhaven, MI) and Ford Motor Main, Foundry (Dearborn, MI), as well as ExCello Incorporated (Detroit, MI). She moved from Industry to exclusive private practice nursing for Dr. John C. Dickson for the last two decades of her life. She retired from nursing at 75 years young – a profession she was proud to practice. 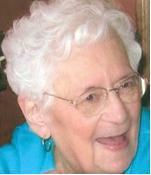 Mary Gauvin, R.N., died April 9, 2010.